​It's Cinco de Mayo! So, naturally Tom Arnold and I drove to Koreatown to catch all of the celebrations. This man-on-street segment was shot, edited and aired on the same day. 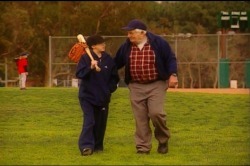 This comedic short is one in a series of spots that celebrates the emotional bond created through sports. "Best Damn" needed a fresh, new opening title sequence, so came up with one...by ripping off one of the most iconic TV shows of all time. 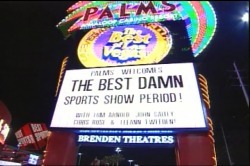 "Best Damn Sports Show" took the show to Las Vegas and this spot kicked off the entire week of shows. Like a Vegas all-you-can-eat-buffet, we went big for this one!